The continual enthusiasm and constant replenishment of Box of Books participants speaks to the passion that is shared by others for the nurturing and shepherding of the project. 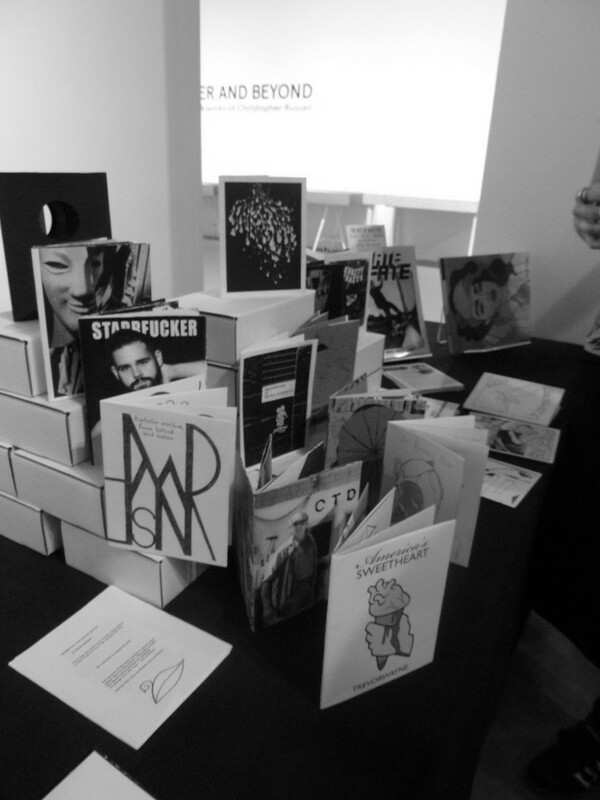 Reactions to Box of Books by those who encounter the project at Printed Matter’s New York and Los Angeles Art Book Fairs, occasional release parties and select retailers is overwhelmingly positive. Participants are genuinely thankful for the opportunity, and audiences mirror that excitement in discovering so many little books all in one box. Writers are outnumbered by visual artists in Box of Books. Over the years, several writers have declined when invited to participate, while visual artists invariably accept the challenge. It may have something to do with the tactile nature of the making, not to be confused with the writing, of a book. Los Angeles contributors have really mixed it up, with writers turning in visual work while musicians, visual artists and performance artists have created text-based or text-heavy pieces. One of the most rewarding aspects of the project is seeing the contributions from people who have never before self-published or hand-made a book; the prospect of being included in Box of Books offers them the incentive to do so.